KOP PVC coated tarpaulin material has been widely used as awnings, truck cover, side curtain, tents, inflatable products, adumbral materials for building facility and house. The width is from 1.02 m up to 5.10m . The color can be customized according to customers' requirement. We can produce laminated and coated PVC tarpaulin, for its good flexibility, excellent tensile strength and tear strength. KOP tarpaulin have changed with the times and shifting needs of their customers and provide a wide range of advanced textile solutions. 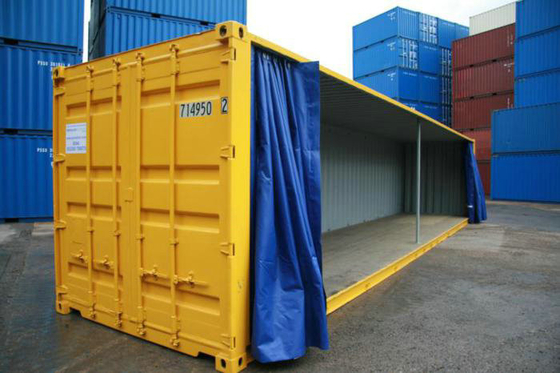 One of the most popular products we provide is our advanced Curtain Side solutions of transportation. Curtain sides are an advanced development for greater efficiency in transportation of cargo. Curtain sides are designed to provide fast and easy access to your cargo in the body of your vehicle, while keeping it secure and sheltered. Curtain sides are a combination of a flatbed transportation, allowing for unloading from the side of your vehicle, with the added protection you would expect from a dry van, combined together to provide an ideal method of transporting large loads, while protecting your goods from the elements in a convenient and efficient way. The curtain sides contain retaining straps which allow the curtain to be pulled back to one side on release, allowing for convenient loading or unloading of cargo.